Whole Foods Park Ridge 225 W. Touhy Ave. The March General Meeting will be hosted at the Whole Foods Park Ridge location. 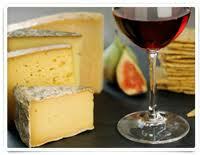 We will be guided through a wine and cheese pairing by a Whole Foods expert affineur and a sommelier. Tastings of a variety of cheeses and wines from around the world. We will discuss their characteristics and how regions developed their signature tastes. This event will be restricted to the first 50 members.